To complicate things Gianna has a rare gift...she sees dead people. Reluctantly teaming up with gorgeous, P.I. 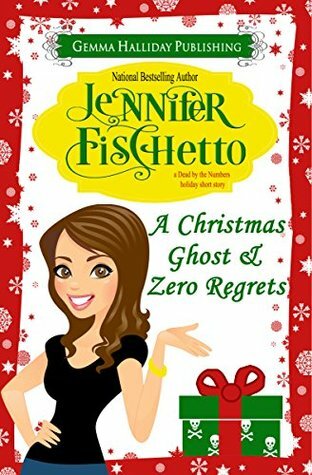 Julian Reed, and her cranky dead Aunt Stella, Gianna sets out to catch her runaway bride cousin, find the sender of a cryptic love note, and track down a list of Claudia's ex-boyfriend—the "ghosts" of her love life past, present, and possibly future. This book features Gianna who in a previous book reviewed on this site was up to her eyes in murder you can read about it here. 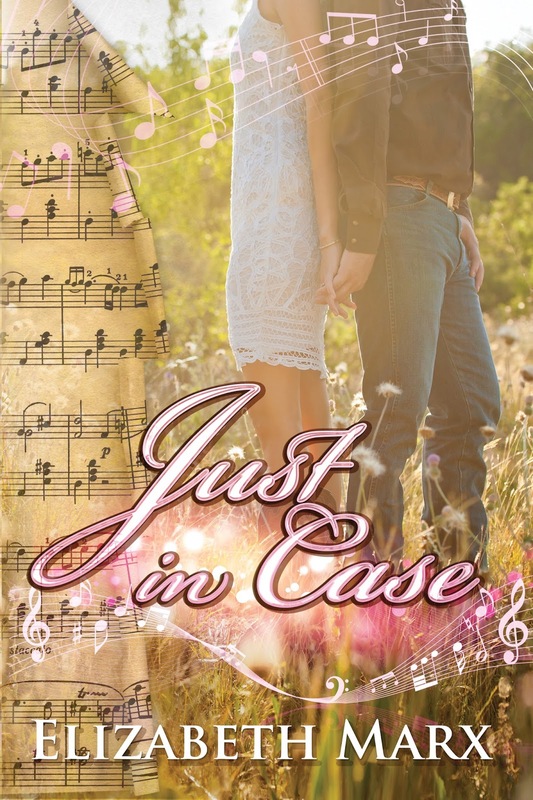 In this book Gianna is helping her cousin get ready for her wedding when the bride has cold feed and we get to learn why and watch as Gianna helps her cousin Claudia determine whether or not she is destined to be married. We also for the first time meet Julian and see how Gianna and Julian meet and end up together I can't wait to see what is next for this author! As owner of Coffee, Books, and More, Jill Gardner looks forward to the hustle and bustle of holiday shoppers. But when the mayor ropes her into being liasion for a new work program, 'tis the season to be wary. Local businesses are afraid the interns will be delinquents, punks, or worse. For Jill, nothing’s worse than Ted Hendricks--the jerk who runs the program. After a few run-ins, Jill’s ready to kill the guy. That, however, turns out to be unnecessary when she finds Ted in his car--dead as a doornail. Officer Greg assumes it’s a suicide. Jill thinks it’s murder. And if the holidays weren’t stressful enough, a spoiled blonde wants to sue the city for breaking her heel. Jill has to act fast to solve this mess--before the other shoe drops. . . In this book we follow book owner Jill Gardner who is getting ready for the holidays especially her huge Thanksgiving Day dinner with friends and family. She is also implementing a work program to help people find steady employment and learn skills to help them better their lives. Of course Jill didn't count on finding Ted Hendricks who runs the work program dead in his car. Jill feels it her duty after finding the dead Ted to solve his murder but the more she looks into the more of a jerk he seems to be. 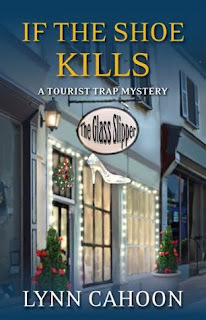 Will she ever solve this crime in time? I love this series it's so different unlike others I've read with characters who have their issues and main characters who aren't perfect and talk about relationship issues among other subjects. I really find myself pulled into this one series and there are only a few series that pull me in like this one. Since I'm doing a tour of the latest book in July I figured I would catch up with Jill, Greg and the others. What happens when your darkest truth is revealed to the world? Scarlett Marbry was just sixteen when her mother, an acclaimed Sacred Harp singer, committed suicide in front of her, sending her running from rural Alabama and the darkness that pushed her mother over the edge. Now, after five years of building a fragile cage around her heart to protect herself, she must return to Crossroads for her grandparents' funeral. There, she'll not only be forced to deal with the reality of her deep Southern roots, but she'll have to face the one she left behind. Revell Marshall is used to working with fragile objects. He's built a life and career around reassembling the delicate stained glass windows that have put Crossroads back on the map. He's also been pining for Scarlett all these years . . . 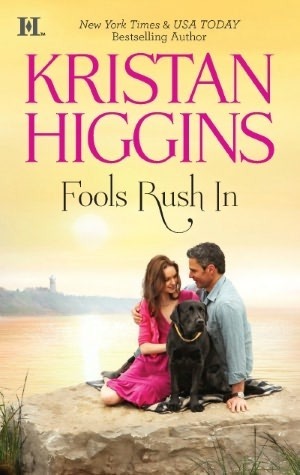 Determined to win her heart, he helps her piece together the facts of her mother's past. Except these revelations, once exposed, could set Scarlett on the downward spiral she barely escaped the last time. Especially when the truth that stained the past may be the same one that shatters her faith in the one person she thought she could trust . . . This book follows Sister Scarlett Marbry who was a young girl when she found her mother hanging in her grandfather's church. Since then she has long since buried what happened in Alabama and thrives in Chicago, or so you think. When she gets called back to Alabama when her grandparents are found dead a fire in their house. 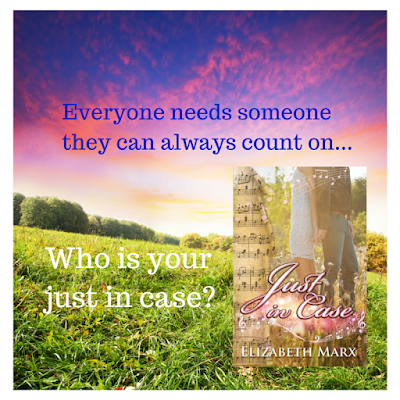 Revell Marshall is going about business as normal when he finds Scarlett in his bar, the girl who got away from him but he never forgot about her. They had a close relationship but when Scarlett's mother died Scarlett was sent to live with friends in Chicago. Returning home for Scarlett has brought up all sorts of issues for people in town who believe that Scarlett's grandfather is a wonderful man and a great preacher but Scarlett knows otherwise. Now Scarlett has to come face to face with the horror of what she remembers from her childhood but can she trust Revell to be her just in case, and to build something with him? I loved this story so much it was so addicting while I read it I felt drawn to the characters and couldn't put it down and like Revell in the book my just in case is my wonderful husband of over 13 years. He has been there through so much good and bad and I know that when times get hard I can turn to him and he supports me and guides me when I need it but doesn't take away from choices I make. Who is your just in case? And what do you all think of this story? I can't wait to see what Ms. Marx's offers next in this series! 1 String of Spaghetti + 2 Friends = A Noodle-Cooking, Crime-Solving Adventure! Sometimes Rico acts a bit odd -- his mom calls him a "proddity" -- but he's GENIUS at noticing little things nobody else does. Like a string of spaghetti stuck to the sidewalk. Or the big buckteeth of that boy in the blue motorcycle helmet. Or the strange behavior of the neighbors in his apartment building. Oscar is a true prodigy, with a high IQ and high anxieties to match. He's the one who wears the blue helmet -- to protect his precious brain! Oscar may have a lot of book smarts, but he needs Rico's help to face his biggest fears. And when other kids mysteriously start going missing, it's up to the two friends to use their noodles, keep track of the clues, and crack the case! 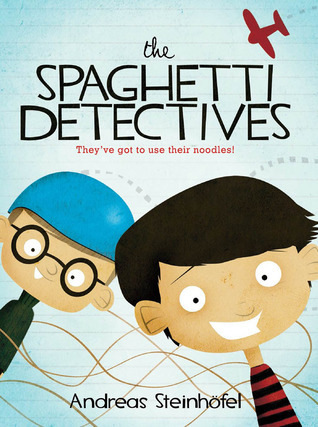 Funny, sweet, and just the right amount of scary, THE SPAGHETTI DETECTIVES shows how two opposite, seemingly mismatched kids can put their heads together and be better as a pair. I love children’s books, and I couldn’t resist diving into Rico and Oskar’s adventures once I read the back cover. I LOVE THESE KIDS! Especially Rico. And, of course, I love Andreas Steinhöfel for creating them and making their storylines so cute and exciting. Rico is an 11-year-old, “unusual” boy who lives with his mother in Berlin, on 99 Dieffe street. What’s an unusual boy like, you say? Let me tell you: Rico needs to walk in a straight line on the street without entering side streets, he can’t tell left from right so he doesn’t go out much, he can’t remember everything that people tell him, especially when he gets excited, bingo balls start bouncing around in his head and therefore he gets confused. Rico’s mother has explained his situation to everyone in the building the day they moved into their apartment and everyone is very helpful to him. They even allow him to enter their apartments and look around. There is even a lady whom he watches movies with on some evenings. The adventure begins when Rico finds a macaroni piece on the street. He knocks on almost every door in the building, asking whether what he found is a Rigatoni or something else. Serendipitously, he meets Oskar, who’s super smart and walks around with a helmet because he’s afraid anything might happen to him at any time. In the meantime, there’s a felon on the loose nicknamed Mister 2000: he kidnaps children and asks for a ransom that’s below the “usual” limit, and is therefore known in the media and in public as the “cheap kidnapper.” Of course, all families and children live in fear of this guy. As poor Rico starts thinking of Oskar as a friend, Oskar is kidnapped by this Mister 2000. His father can’t find the money and alerts the cops, which leads to more chaos. The way Rico observes the world and tried to make sense of things through the commotion in his head is a delight to read. Yes, it’s a children’s book, but all my guesses about whom Mister 2000 could be turned out to be completely wrong in the end. This is definitely a book that both children and adults can enjoy. I’d bought this book and read a few pages back in 2011. I don’t remember why I put it off back then, but I got excited all over again when I remembered it was about the Salem witch trials, which is a personal interest of mine. As soon as I read about 60-something pages, though, I kind of remembered why I put it aside in the first place. I’m guessing that due to the subject matter being witch trials, I might have thought it would be a story like American Horror Story’s ‘The Coven.’ Or, at least, something along the lines of Women of the Asylum: Voices from Behing the Walls, a witch-y version of it or something. However, when the chickenpox incident at the beginning of the book seemed to drag forever, I thought to myself, “maybe, all witches lost their lives to this disease.” I waited and waited. I waited some more. And NO WITCHES. All that I’ve mentioned above are in no way a reflection of Kathleen Kent; that I want to make clear. Kent’s ancestors have lived through the witch trials through 1692-1693 that took place in Ipswich and Andover as well as Salem. 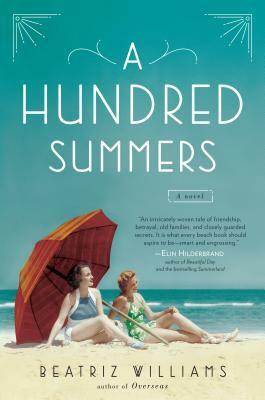 Passing down to 10 different generations, these stories have become a book at Kathleen Kent’s penmanship—while reading Water for Elephants, I’d thought that Sara Gruen tried too hard to include all her research and neglected the storytelling part. I felt the same thing while reading The Heretic’s Daughter. Yes, it’s a historical novel that has real details… Maybe it wasn’t advertised as focusing on the Salem witch trials, I wouldn’t be this disappointed; I don’t know. For me, the most interesting part about the book was that the narrator is a child. Sarah is a little girl who’s growing up thinking her parents, and her family in general, are just super boring people. She believes this even more when she’s sent away to live with her cousin’s family when the chickenpox breaks. Later, though, toward the end of the book, we find out that the real excitement was in her own family even though what they have to go through is very sad and disturbing. Sarah’s mother, Martha, is accused of being a witch. When this happens, Sarah is in awe of her “boring” mother’s bravery, her acceptance of death even though she knows she’s innocent. Martha saves her children by telling them to accept the accusations. 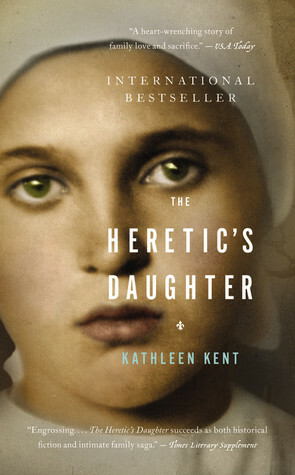 As I’ve mentioned in the beginning, The Heretic’s Daughter was far from what I’d imagined it would be. Instead of a crowd of witches, I found in it family ties, people who are faithful to their beliefs, those who judge what’s different and attack everything they’re afraid of. 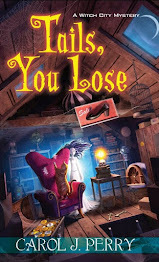 This book follows Millie Barnes who is all about getting cute guy Joe Carpenter to notice her, date her and marry her. What she doesn't realize is sometimes the image we create is greater then the reality of the real person. What Millie also doesn't realize is that Sam Nickerson is there and cares about her. Even if he is suffering his own issues after Millie's sister left Sam for someone else. While Millie spends her time stumbling all over Joe she finally realizes that Joe isn't what she wants at all, and what she wants is in Sam. But will everyone close to Millie understand including her nephew Daniel, Sam's son? Kristan is a remarkable writer everything she writes is gold. I have followed her books since the beginning and have loved the road she takes you on. Her characters are so real with real issues and not perfect but they figure things out along the way and find their happily ever after! This book goes back and forth between 1938 and 7 years prior. In the prior years we meet Lily Dane who is in college and just met and fell in love with Nick Greenwald. They are joined with Budgie Byrne and her boyfriend Graham Pendleton. In 1938 Lily is spending the summer with her family in Seaview Rhode Island. There she spends her day tending her sister Kiki and her aunt Julie. The road this author takes you on is incredible it's really the story of a broken love with too many people interfering and with a friendship based on jealousy and deception. The relationship between Budgie and Lily is damaged at best. While Lily tries to act like the bigger person she misses a lot of what is really going on and why so many people are betraying her all over the place except the one person who really loved her. Definitely a great story I enjoyed reading it and couldn't put it down at all! Can't wait to see what the author writes next! The Chief is planning the innovations they can bring to Swamplandia. The oldest child, Kiwi, says that they should just sell the park but when nobody else in his family agrees to it, he goes to the mainland and starts working at the World of Darkness in order to “check out the competition.” At the same time, he has a desire to learn and dreams of going to college. Getting weirder and weirder after their mother’s passing, Ossia gets into spiritism in hopes of being able to contact Hilola. She talks to spirits and even dates some of them. The youngest, Ava, on the other hand is set on becoming as good an alligator wrestler as their mother and saving the park. Karen Russell is an author who is rather crafty at bringing together fantasy and reality. She has a very real way of showing how people hold onto places they think they belong to, how some of them do just the opposite and run as far away as they can. She shows how different people deal with the same problem in different ways and none of their ways can actually be considered “wrong,” especially when dealing with grief. There’s the idea of the naivety of childhood and what dangers it can bring throughout the story. Accordingly, what happens to Ava when a guy called Bird Man is supposedly helping her find Ossie, Ossie being left on the altar while she’s on the verge or marrying a spirit make the reader angry, worried, revolt all at the same time. 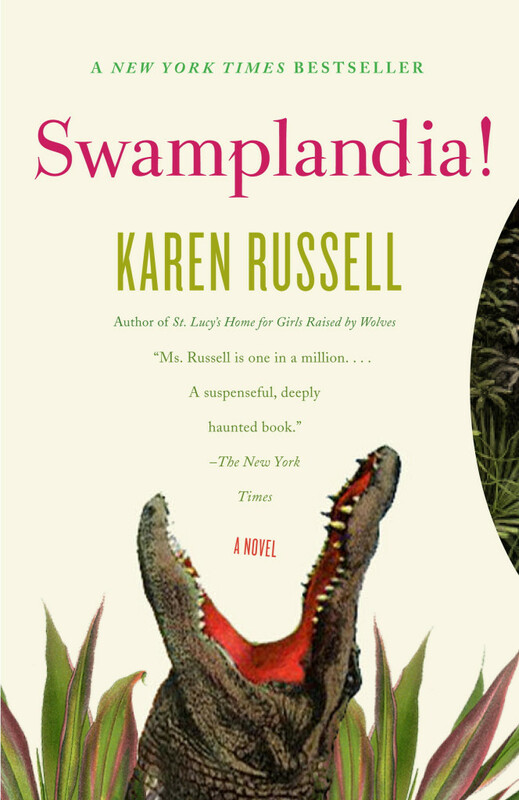 If you’re looking for a weird book that brings together fantasy and reality in a way that might hurt your insides, Swamplandia! might just be what you’re looking for. Dying is not for the faint of heart . . . . . . Neither is the murder of a mysterious philanthropist with ties to the Russian mob and 1939 gangsters. As Tuck learns the book's secrets, he begins to unravel his own family's wayward past, leading to the question--is being a ghost hereditary? Even while chasing a killer, the biggest challenge Tuck must conquer is how to be back amongst the living . . . but not one of them. This book follows the story of Tuck who had died in the previous book and finds himself working to solve murders with his partner from when he was a cop Bear and his wife Angela mainly referred to as Angel. In this book someone gets killed at a Charity Ball and during the course of investigating this Tuck finds himself being pulled into a different era. This book pulled you in and had you wanting to know why overtime Bear and Tuck turned around the FBI was taking over the case. What does this mystery have to do with the Feds and what is their goal in all of this? i love this series it really pulls you in wanting to see how Tuck the ghost is going to solve this crime before someone close to him gets snuffed out. 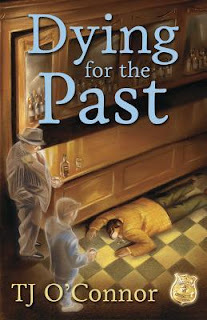 Add to the fact that this book goes back and forth between current time and the past. Definitely a great new series I will soak up as much as possible! 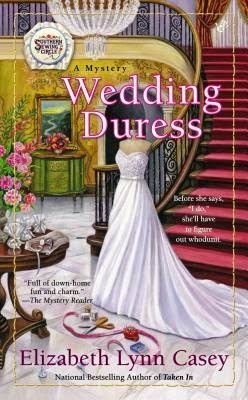 Today I had the pleasure of sitting down with Elizabeth Lynn Casey author of the Southern Sewing Circle Mysteries and her latest mystery is Wedding Duress if you haven't picked up on these books you really are missing out! 1) What genre do you write? 2) What other series do you write? 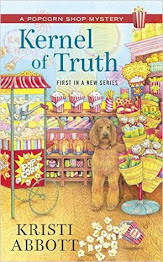 third cozy series (also under Laura Bradford) will debut in June 2016. 3) Who is your favorite character to write about? That's a tough question. 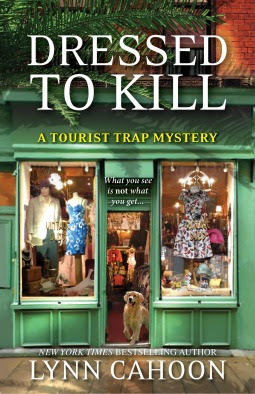 With the Southern Sewing Circle Mysteries, I really enjoy writing Tori, Rose, Margaret Louise, and Leona. They're all so different, yet fun. 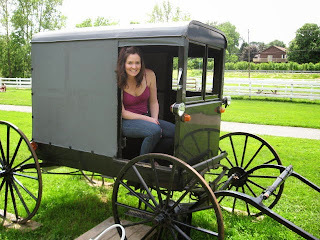 With my Amish Mysteries, I love writing Jakob Fisher. His background as a former Amish turned police detective provides so many layers to work with. 4) Can you tell us what brought you to writing mysteries? 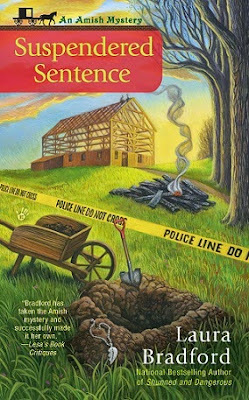 I'd always assumed I'd write children's fiction, but when I really thought about it, I knew the pleasure I got from reading mysteries. So I gave it a shot. 5) Who influences your writing? Really good authors (Mary Higgins Clark, Linda Castillo, Harlan Coben, to name a few). 6) What type of books do you like to read? I tend to lean more towards women's fiction when I read. 7)What do you do when you're not writing? I love to bake, and spend time with my family. Oh, and travel. I love to travel. 8) If you could take three things to a deserted island what would they be? I would take a notebook/pen, a huge stack of photographs, and a way to communicate with my family (assuming they couldn't be with me). Thank you again Elizabeth for taking time to visit my blog and share your wonderful interview with our followers! I can't wait to read Wedding Duress! This is the June Book of The Month for Community Bookstop if you haven't read this series yet you are really missing out I love this series!